Audacity is a free, easy-to-use audio editor and recorder for Windows and Mac. 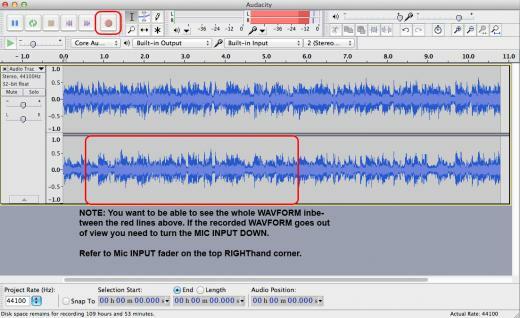 This is a great application to use when recording a mix with Serato DJ. Edit MP3, WAV or AIFF sound files. Some Macbook Pro's have a dual 3.5mm jack port. This allows you to change it from being a headphone output, into a Microphone input. If you don't have a dual port, you can simply use the line in input without any sound preference configuration. 1. Click the APPLE in the top left hand corner of your desktop. 2. Navigate to SYSTEM PREFERENCES. 3. Open the SOUND preference window. 4. Navigate along to the INPUT tab. 5. You will see a drop down menu “use audio port for: ” Drop this menu down and select “SOUND INPUT”. 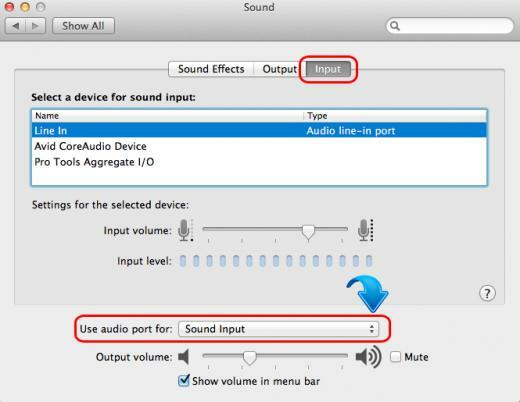 If your Macbook does not have this option, it is unable to use the headphone port as an input. 6. Close the sound preference window. The Macbook Pro 3.5mm port is now setup as a MIC INPUT, and you are now ready to start using Audacity. Output or Booth Output, into your computers LINE input port. (For Macbook Pro headphone / microphone port setup refer to page 3 of this article). 4. You will see two Microphone icons. Audacity will now be looking for an audio input signal. If a signal is present you will see two red lines (left, right) pulse up and down in the metering window. This allows you to monitor how loud your recording is. Note: At this stage you should see no audio signal. 6. Launch your Serato software. 7. Load a track in the software and start playing it. Play the loudest section of the song, in order to get a good reference for your recording level. 9. Go back to Audacity. You should now see a monitoring signal on the top task bar. Beside this monitoring bar you have a MIC input volume fader. Adjusting this fader will adjust how loud you record your mix. Recording too loud will result in distortion / a bad sounding mix. 10. Press the RECORD button. Audacity will start to record. Record for 20 seconds then press STOP. Listen back to the recorded audio. If its distorted turn down the input gain. Repeat this process until you are happy. Audacity is now ready to start recording your mix. Remember to SAVE your mix once you have finished recording. For more information on Audacity and its features click here.